ECTmmo.com- MMO Blog: The Adventures of Kaozz...: EverQuest 2 Crash Course! (EQ2X Update) EQ2(X) Questions and Answers! EverQuest 2 Crash Course! (EQ2X Update) EQ2(X) Questions and Answers! As of GU59, we're almost ready to head into the icy lands of Velious! Added some information exactly where to obtain starting quest mounts. Some information on the new Freeblood race and more information on EQ2X, housing, flying mounts and DoV. Also keep in mind, when you purchase the current expansion (DoV Currently) it will grant you all of the previous expansions! I've actually had to update this guide with the changes added to the game in GU57 and the addition of EQ2X. Some of the information will remain the same, the rest I will leave but merely just to show what has changed. It has taken me a lot of time to do this guide so I will update it the best as I can in the weeks to come. There are several changes coming especially with the latest expansion so I will try to keep it as updated as I can, hope it still helps some looking for answers! Any updated information I'll just add in also in *purple*! I will, from time to time, update a few things just to help people along with, be it a good website or a handy tip! Check out the full notes on GU57- Here. These were some big changes: Travel, UI revamp.. Go read it! Lots of neat changes. Welcome to the EverQuest 2 Newbie Guide Crash Course! So, you want to try out Everquest 2 but you don't know where to start! Or perhaps you tried it and just felt a bit lost. Sometimes starting an established game can be overwhelming and it's hard to get into the swing of things. I thought I'd give a crash course in getting started (or returning) in EQ2 and beyond. Feel free to ask any questions I may have missed, I can't cover everything! This will be a work in progress for awhile as I add to it. Any additional info and guides will be linked at the bottom of this page. There is a lot of great information out there but it can be a task to find it all- so I've tried to compile what I can in the first part of this guide. The following parts will be more in-depth on different areas of game play. Also a note to those that may have the question- You do not need to have Everquest to play Everquest2. These are two separate games, you do not need one to play the other. You can get a station pass to play multiple station games with one account but they remain separate games. Pop back in on a three day pass. Check things out, visit old friends. You can find out more information here! Chances are you won't see the latest copy of EQ2 in most stores, the only place I've found it was Best Buy. I picked up my collectors edition there. You can also download it online. The claim rewards differ but it isn't a huge deal. You can find the station launcher (full download) here. Before you dive in let me explain some options! Since DoV Launch- If you want to download the live game, you'll need to now download it here. Having had trouble with the launcher working on one of our computers (still works on the other), I was told [by support] it isn't supported any longer for EQ2. So if you happen to have crashes via the SOE launcher, you may want to try that instead. It, supposedly, is not working due to DoV changes. But you may have no problems with it, it works perfectly for me still. There are a few ways to get started. If you know someone who plays you can have them recruit you with the recruit a friend program. You basically set up a trial account and go from there once you receive the email invite. Make sure you redeem that code on the new account you set up! If you don't have any friends who play, you can always download the trial just the same. You will find the trial here. If you have additional questions on the trial this guide should help or feel free to drop me a message. The awesome thing about this trial is all you do is pay the first monthly fee and it's yours. You don't have to buy anything for quite awhile, until you need the later expansion(s). The expansions entitled on the account will last awhile and all you basically do is pay the first month and they are yours, a fantastic deal if you're just wanting to get a feel for it. You're not losing out anything by just doing this. If you do decide you want to buy the rest of the expansions you can just buy the Sentinel's Fate (or current expansion) for basically forty bucks and you are caught up. If you start out with the Sentinel's Fate copy then you get a free 30 days. So either way can be beneficial. If you are not sure you can run EQ2, or any game for that matter, I found a great site that gives you a basic idea if you can. Check out Can You Run It. Also IGN has a Q&A and System Requirements information, you can find that here. With the addition of EQ2X (GU57) it's already out of beta and has it's own server, there is a free to play option. This is a specific server and this game runs separate from EQ2. There is the option to pay a subscription of just play for free, many items and options- À la carte- for those just wanting to buy things here and there. Or you can just play for free, something like a trial that never ends but more than just that. You can check out all the options here. Yes, RaF still works with the normal servers so that is still an option. This server is also a very heavy populated server, currently. 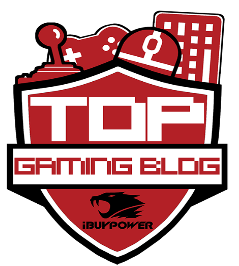 Check out the forums for any questions you may have. There is also a FAQ. What is different about this server? Is it more limited? It can be in some ways. It offers a more robust cash shop which includes gear, yes with stats and all, many different mounts, crafting items, race packs and so on. It's all included on the official site. Another thing to consider is the population, for now it is pretty heavy. Can I transfer my character there? No, but you can copy it. There are limitations to what items will be copied over so it's best to check it out in the in-game option. You can buy the copy in game in the item shop just as you would a normal transfer. It is not the same price but ten dollars more. It's currently $35.00 USD. Membership plans- Free all the way to premium. You need to decide which server you will want to play on. If you have friends you'll probably want to play with them. If not you may want to check out a more populated server. While the servers are far from dead, some are more established than others and you will find more alts and newer players on a higher populated server. I would recommend one of the top three servers. I actually changed servers when I came back to the game to play on a more populated server, I am quite happy I did so. Pick what you want to play on but keep this in mind when starting out! Don't forget to select which server you want upon making the character, it's the last part of creation along with choosing a name. I also play on Mistmoore (now merged into Permafrost), sometimes, as well as Crushbone,and I enjoy it there also even though it's not the most populated, by far. This is just a little notation after playing on multiple servers- For more current thoughts check out this post. *Also keep in mind EQ2X- Freeport server is a heavy server, it's another option to consider. I'd have to say it [Freeport] is the most populated with all the crashing lately, especially on holiday weekends. There has been a fix announced in the forums, so if you are playing there and are getting frustrated- It's been said that this will be a thing of the past soon, it is being handled. Whew! All servers have been merged and are more evenly spread out, the last merge happened this week, as of 2/18/11. What is the Bazaar server? It's actually one of the lower populated servers, the reason I mention it is because it is a bit different from the rest (besides Vox). You can buy and sell characters, currency and loot through Live Gamer. Check out the official server forums for more info about this server or Live Gamer Home. So now that you've decided to play EQ2 you'll want to pick out a class. The game is far easier to solo today than it ever was in the past. I still do see people complain they can't solo or duo this or that. Keep in mind that some classes solo better than others and some duo's work better than others- which is just using common sense. In most cases a tank and healer will go further than two tanks! Remember to use that noggin! There are twenty-four classes in EQ2. Some classes can only be a specific alignment, but all characters can play together. There is no barrier between characters on different factions. The only problem you would run into would being able to access the same cities if you are on a different faction, which isn't a big deal. The game offers race changes and there is always the option to betray and become the opposite of your class. You can read more here on what betraying is. The races are sorted into three options to chose from basically- good, evil and neutral. Neutral can go to either side. What classes and races can you play in EQ2X? What races? You can't play them all, even if you are a subscriber, with out buying some of them. The best bet is to log in and check it out. You can find more information here. All (only neutral available free) of the neutral races are available and many neutral classes. That should give you more of an idea. Betrayal and citizenship has been changed some- More information (as well as Halas citizenship) here. To get an idea of any class play it a few levels and research how to spend AA points. AA points can really help make your character pack a real punch! Take time to just read the stickies in the class forums on how to spec, you don't have to spec any certain way but this gives you an idea on direction. These stickies have a lot of information on each class! There are other outside forums people use but I will always direct people to the official forums since I prefer these- and they are kept clean. If you want to head on over to the others- check out EQ2Flames, don't say I didn't warn you of the occasional pop ups! If you are curious about the racial traits check out this link. It's the most up to date information I've found. These won't make or break your character but some are handy to have, it all comes down to personal preference. With recent changes many more classes are now neutral! It's the newest addition to Norrath and is available free through the Velious Winter Rewards program. If you missed out on this program the race is still available through the marketplace. The class specific housing and other perks also must be bought separately through the marketplace. My personal thoughts and some pictures, video of the race and some helpful information. More information on the EQ2Wire. Ok, so now you have the basics covered and links on where to go for information you may still have a few questions. Alternate Advancement points are points you gain while 'xping' and adventuring. There are several ways to gain them. They strengthen the character and add a flexible direction for the class. They add more or less the ability to fine tune your class as you prefer. For more in formation on each class check the class forums listed above - Also basic information in this in-depth guide to AA points. If you want to check out an AA calculator there is one here. Can I respec my AA points or have two specs? Yes, you can respec any time, there is a cost. You will need to find an Advancement Counsel NPC. There is also the 'dual spec' option with the Mirror of Reflected Achievements. Is there an auction system, I need to sell my loot!? Yes, it's called the broker. You can sell items from your house or simply use the broker. You can find out exactly how to use it here. This is probably the most asked question I see in chat, so make sure to brief over it! How do I get a house?! All you need to know about getting a house can be found here. Remember the city you pick is the one you start out with. You can change to another city of your alliance in the future though. And there is also, as mentioned before, the option of betraying. Keep in touch with others who enjoy decorating or just browse other players house ideas here on the EQ2 Norrathian Homeshow. Curious about what items you can use or where to get them? Check out EQ2 Decorators. Another lovely website dedicated to EQ2 Housing- EQ2Housing.com. There are currently some lovely pictured on the update ahead of the additions of outdoor areas in several houses across the game. Check it out! There will be additions to how many houses you may obtain, with DoV. Certain housing will be able to link up together with regular housing. More of this after DoV launches. Is there PvP in EQ2? Yes, there are two different ways to PvP in EQ2. The first is to start on a PvP server, much like any other game that offers PvP. There are two Vox and Nagafen. Vox shares the same exchange rules as the Bazaar server and is a very low population server. The other option is the new Battlegrounds System! The battlegrounds are available for players with characters level 80-90 30- 90 (a recent patch changed the level requirement) and they are cross server. So you will have to wait in the levels, but it gives us something to work towards. There are rewards as well! For more information check out the the official EQ2 Players page, ZAM BG guide and Ten Ton Hammer's Guide. I saw a cool mount, where do I get it? One of the great things about EQ2 is all of the fantastic mount options available. Some of them give bonus stats and there are different speeds. For a detailed list on them all and how to acquire them- check this page. In GU57 there were two mounts added in the starting areas. Yes, a free mount for starting players! New Halasian Courser Whistle - Result from completing Sometimes You Feel Like a Knut at the end of the New Halas Quests. Kelethin Courser Whistle - Result from completing The Emerald Lake (Quest) at the end of the Kelethin Quests. Gorowyn Destrier Whistle - Result from completing Frazykyr at the end of the Gorowyn quests. Level 20. Neriak Destrier Whistle - Result from completing Collecting the Spirits at the end of the Darklight quests. Level 20. Flying mounts will be obtainable at level 86. There will be a quest line and the Freeblood swarm of bats will have it's own special quest line. Until more information is released here's some information to start with. What Tradeskill should I pick? That is really up to personal preference. Here is a basic guide full of information that may help you decide what would be best for you. EQ2 Traders is also full of information for all your TS needs. Tradeskills in this game are almost a whole different game. There are separate crafting levels, instances and quests. It's really a fun system. What is the benefit of having a guild and guild hall and what is status? Guilds are beneficial to have in EQ2 having friends and other players to play with is one reason. Another is guild halls which offer multiple utilities (tradeskill areas, vendors, portals and more) and you are also to use status points when in a guild. For more in-depth information- this is a handy guide I've found answering most questions. Can you use a mailbox in EQ2? Yes, you can use any mailbox in a town or along the way you may find one here and there in your travels. You can also have a mailbox in your house, there are several ways to get these such as status, through city festivals or the station store in-game. You can send items and currency as well. What is Legends of Norrath? Legends of Norrath is the trading card game associated with EQ and EQ2. TCG loot cards are made for both EQ and EQ2, there is an option to choose which game you play. It is available to play free without a subscription or you can access it within the game. You start with starter cards/decks and purchase of additional packs and decks is available. For more information check out the website. Claim items are rewards within the game. You can access them with the /claim command. A detailed guide can be found here. Mentoring, this is a system in EQ2 that allows a player to scale down to another group members level. It's one of the most unique things about EQ2. No matter what the gap is between the levels you and you're friends are only a group away. For more information check here. Don't have someone to mentor but want to mentor down still? You can with Chronomagic- You simply use status to mentor down to a specific bracket. Read more about it here. Deity quest and rewards- These are beneficial to players awarding special abilities cloaks and deity pets. Check out the list here, click a deity to see the quest line and rewards. If you happen to click on the link listed, be sure to click on the 'Gods' listed to see the benefits, quests, abilities along with quests that are associated with each one! EQ2 has an in-game browser? Yes, EQ2 has an in-game browser. You can access it in the EQ2 menu or the command /browser. What is the appearance tab and is there a dressing room in EQ2? Yes, you can preview items in the dressing room window! Want to know how that new cloak looks before buying it? Simply ctrl + click the item to preview it. Appearance slots are basically for vanity armor. While you wear one set you may not like how it looks and the appearance tab enables you to wear gear you want the look of. You gain access to the appearance tab at level 20 and can only use your up to your own armor proficiency. Fear not, most appearance slot items are cloth (IE; status items, station cash items, holiday items) proficiency so everyone can use them! Weapon appearance slots are no longer restricted to being the same wield style of your equipped weapons. Coming soon*, mount appearance tab! Coming in GU58! Is it hard to travel in EQ2? With GU57 travel is as easy as snapping your fingers.. Well if you can't snap.. Maybe more so as the click of your mouse! There have been additions to travel with a new map system making travel across Norrath and in cities much smoother, saving lots of time. This also includes docks, Druid rings and Wizard portals. It's really an awesome change. No more waiting on those slow boats! Inner zone travel locations now support path linking. This means when traveling via sokokar/horse/balloon you will be able to select any location in the zone that is an available travel point and let the mount do the rest. The KOS cloud pads can now teleport you to any other pad within the same zone. Cloud travel around KOS zones can now be done via the Overrealms Tour Agency. They offer tour route services for Tenebrous, Barren Sky, and Bonemire. Is there a quest helper? With GU57 there were Map Points of Interest added in. Not for every quest but some will now show up on the tracker. For those you cannot find- Check out EQ2Map and go to downloads, for this add-on. Research Assistant- Need a spell researched? So now you might have a better idea of what's going on or perhaps a question was answered. Feel free to ask any questions or just say hi! I play Nyomi on Crushbone and Sable on (EQ2X) Freeport server. Any additional information will be updated and listed up top as I can, for this guide, so check back in! I've said that before also, I tend to eat my words sometimes lol. Good work, it looks good, very informative! Do the guys at EQ2 have an 0800 Number at all? Need to chase my account problem. Thanks! Yeah it is a hard toss up for me to give up playing WoW for anything these days. <3 my hunter hehe. 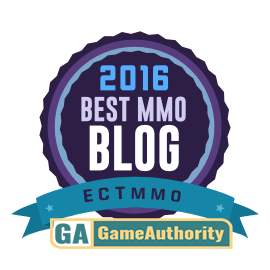 I can truly say that I have never read so much useful information about Blogger: ECTmmo.com- MMO Blog: The Adventures of Kaozz... - Post a Comment. I want to express my gratitude to the webmaster of this blog.